2 Girls Who Travel are no strangers to a good road trip and we love impromptu stops. Well on this trip, we decided to swing by New Orleans – it only took us a couple hours out of the way! 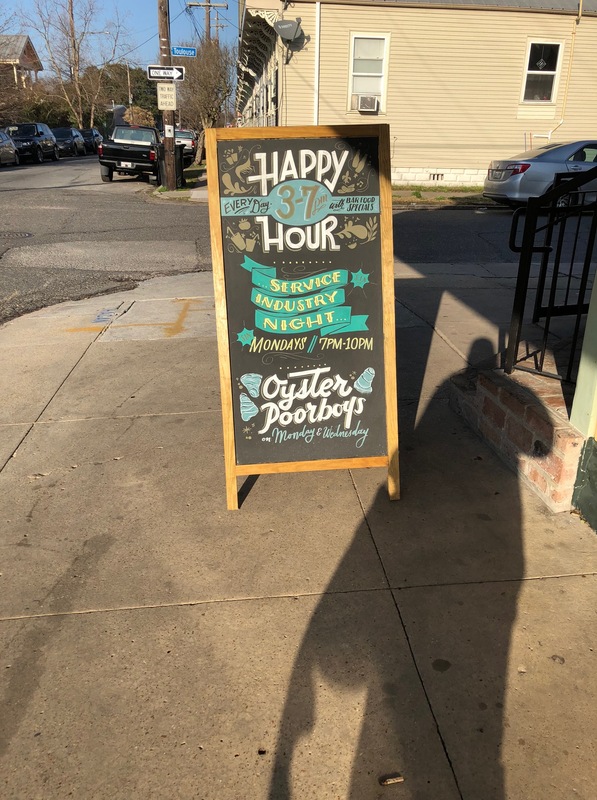 We were only going to be in NOLA for a few hours and had a big decision to make – where and what to eat! New Orleans has no shortage of fantastic restaurants, but we really wanted some place casual with really good food and vibes. We decided on a favorite of ours, Parkway Bakery and Tavern. 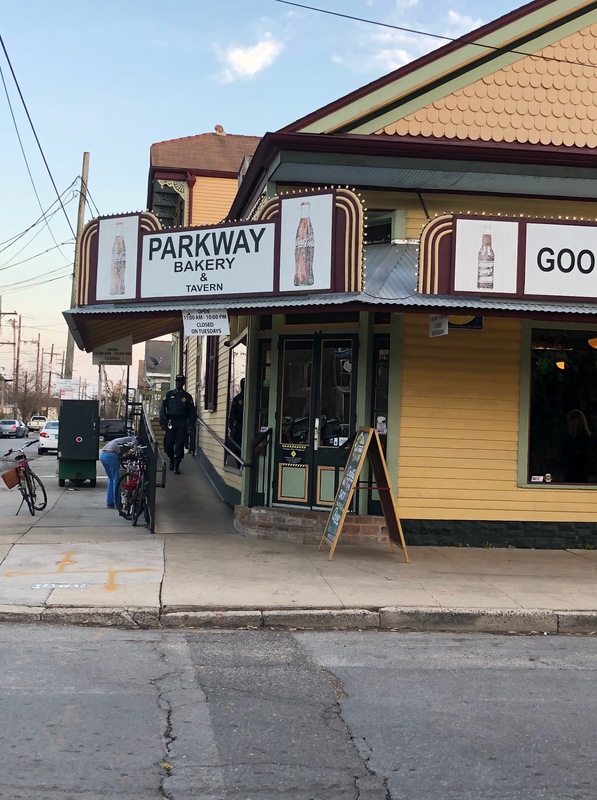 Parkway is a family-owned, Bayou St. John community staple and the fact that they serve some of the best poboys, or poor boys as they call them, is just one of the many reasons they are a must-visit on any trip to New Orleans. We actually wrote about Parkway on our very first 2 Girls Who Travel trip to NOLA in 2015. We interviewed General Manager and Head Chef Justin Kennedy. Read about that first trip here. 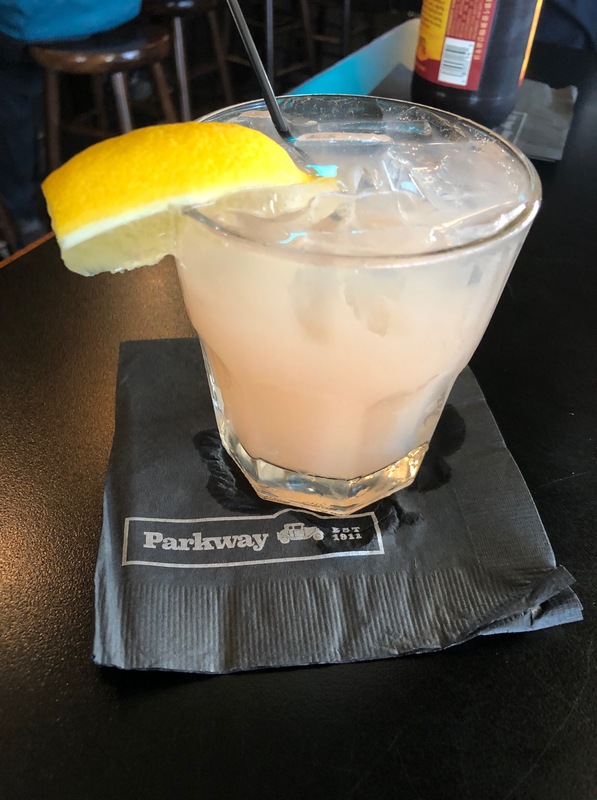 Parkway Bakery and Tavern – Come on in! Parkway has a poor boy for every preference – oyster, catfish, shrimp, roast beef, hot sausage, alligator sausage and more – (forgive us for drooling), but our hands down favorite is the surf and turf dressed. As the name implies, it’s the best of both worlds. It’s part savory, slow-cooked roast beef and gravy and part fried, crispy Gulf shrimp – dressed with lettuce, tomatoes, mayo and pickles. This sandwich takes away all of your inhibitions about being a messy eater. You don’t care about having roast beef falling on your shirt or gravy dripping down your arm. You just keep enjoying it and then get one (or two) to-go! 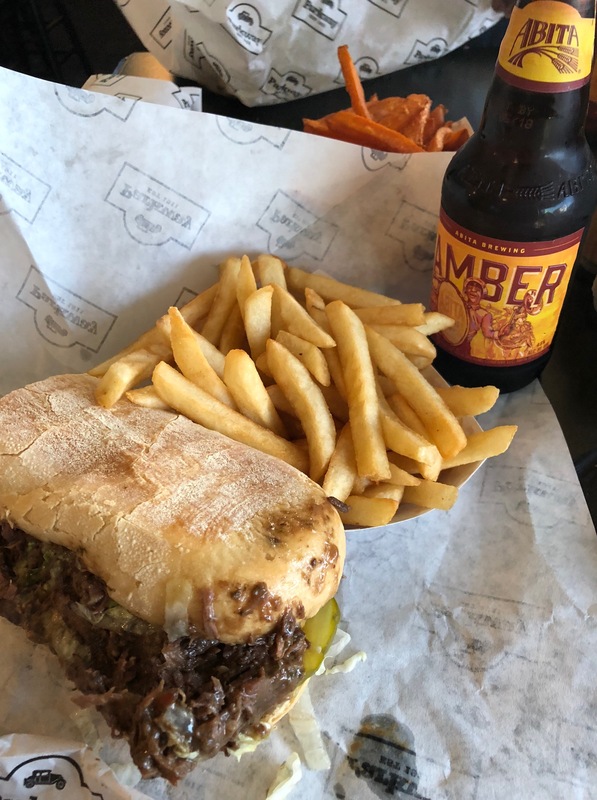 No meal is complete without the local favorite, an Abita beer. [Sidenote: The Abita Brewing Company is just up the road in Covington, LA. and they do tours!] Parkway also has a full bar and happy hour every day from 3pm to 7pm. So now you know our go-to spot. 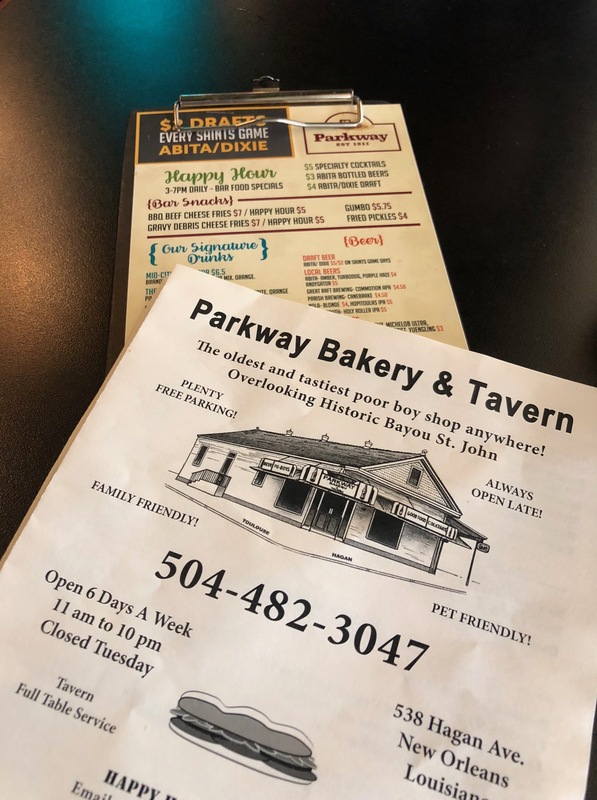 Be sure to venture out of the French Quarter on your next trip to NOLA and stop in at Parkway Bakery and Tavern. You won’t regret it. It definitely has the 2 Girls Who Travel seal of approval.